We are often asked by guests about the best Cape Town, Garden Route and safari options to compliment their stay at Woodall Country House. We are pleased to offer advice on what we believe are the ideal destinations for the best South African holiday experience. Finding the perfect accommodation can be tricky, but here are our tips when it comes to touring from Cape Town along the Garden Route to Woodall and onwards to the malaria-free safari reserves of the Eastern Cape. Beginning in Cape Town and ending in the Eastern Cape (or vice versa), these are our hand-picked destinations and accommodation suggestions. Whatever your preference, we can assist to tailor-make an itinerary to suit your every need. Begin in Cape Town exploring all that this colourful city has to offer. Known for being one of the most interesting and beautiful cities in the world, Cape Town not only offers excellent dining, shopping and accommodation but also culture, history, natural wonder and adventure. During your time in the Western Cape, be sure not to miss out on the Cape Winelands. Take a break from city life to enjoy the mountains, vineyards, Cape Dutch architecture and of course some of the best wine in the world. 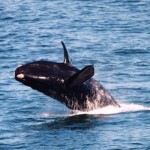 Next stop is Hermanus and nearby Gansbaai – a spectacular area forming part of the Cape Floral Kingdom and renowned as a whale watching and Great White shark capital of the world. Stand on rolling hills covered with indigenous flowers and fynbos and look out on the spectacular oceanscape ahead of you. 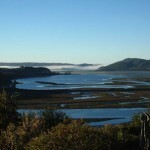 Continue along the Garden Route to Plettenberg Bay and Knysna, where you will find a mixture of valleys, rivers, wetlands, forest and mountain. These two coastal towns are known for their natural beauty, good vibes, great beaches and adventure sports. No journey to South Africa would be complete without taking the time to relax in the stillness of the African bush. 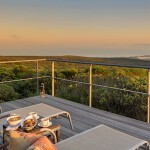 The Eastern Cape is a malaria-free area, and home to a range of incredible safari destinations. The diversity of the area is vast from the moon-like plains and mountains of the arid Great Karoo, to the lush rivers and valleys at Kariega Game Reserve, each being home to a variety of big game such as lion, rhino, buffalo and more. 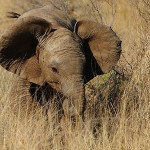 During your stay with us at Woodall we encourage you to spend time at Addo National Park amongst the herds of elephant in an area known as having the densest population of elephant in Africa. You can also include any of our suggested game drive activities. We invite you to explore Africa’s secrets – home to some of the richest biodiversity on the planet including the Cape Floral Kingdom, mountains, forests, rivers, oceans and a myriad of wildlife including the Marine Big 5 and Safari Big 5. Let us tailor-make your experience to meet your needs. Please email us or our travel desk partner, yvonne@epicafricatravel.co.za for assistance.